Director Kyle Rideout also appeared in Lawrence & Holloman, as “Thirsty Office Worker”. This year he returns to Cinequest as a director and co-writer. 1Q: Tell us a little bit about the origins of Eadweard, from concept to financing. Both [co-writer] Josh Epstein and I were actors in a play called, Studies in Motion which is about Eadweard Muybridge. We toured across Canada and it was a very innovative and fantastic play. We kept talking about how this story of this incredibly strange genius wasn’t a film. From there we optioned the play and raised straight private equity to shoot the film. Then Telefilm came on board for post. 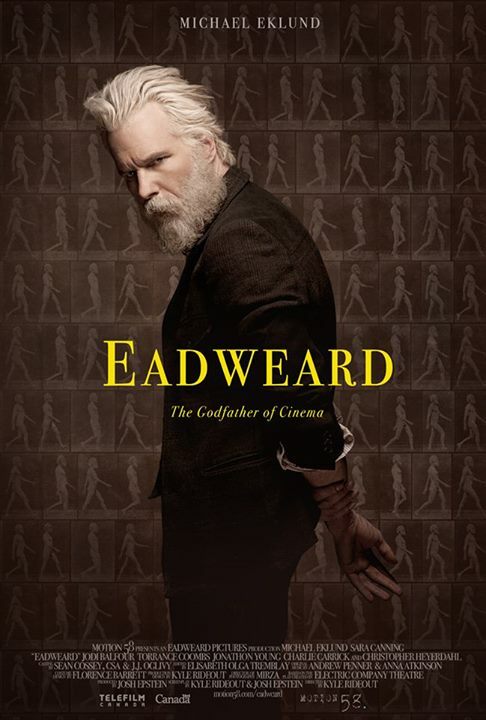 2Q: Cinequest Film Festival is hosting the World premiere of Eadweard, explain to us how it feels to bring this film before audiences for the first time, and what do you think their reaction will be to your film? It’s that feeling of being proud-nervous-and-excited all at once like sending my baby out into the world with a kiss on both cheeks and a huge warm hug! I really can’t say how they will react but I hope that when the credits roll they look up Eadweard Muybridge to learn more about this fascinating person. 3Q: What was your best and or worst experience while making Eadweard? I’ll go with best: which was shooting the opening scene of the film which was on the cliff face of a mountain in BC called The Chief. The start of the story is when Eadweard was younger and beardless and since Michael Eklund had grown this glorious beard for the shoot, we had to shoot this scene last so we could shave it down (yeah, no reshoots on this film). This location was up a mid-level, hour and a half hike. The cast and crew were all game. When you see the film the opening shots almost look fake they are so beautiful. The cast in the film are so strong, Michael Eklund transforms into the role. Seeing him as the serial killer in The Call and then as this obsessed genius is fantastic. 5Q: Time to Pre-plan: You just won the Oscar for Eadweard. Give us your acceptance speech. I think I would scrap the speech do a tap dance followed by a big bow.